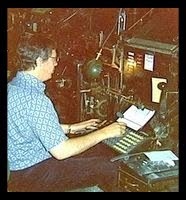 A death of a Present meant one thing, a federal holiday, giving us Deaf postal employees a break from reading your post cards. I remember seeing LBJ flag-draped casket at the Capitol Rotunda when I was at Gallaudet, being part of a historic moment in time. As for George H.W. Bush, I think baseball, my neighborhood childhood friend, Bobby Valentine, was a manager of his son's team, the Texas Rangers. I read that the president had met the legendary Babe Ruth while playing at Yale. 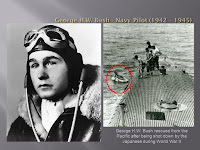 As with JFK heroic acts as the skipper of PT 109, George H.W. Bush was shot down over the pacific and rescued by an American submarine in the area, perhaps the last WWII veteran to serve in the White House, I think. Lot of stuff happens during his term, like the fall of the Soviet Union, but that doesn't make the world any safer with Russia annexing Crimea, and the signing of ADA, thanks to the efforts our Deaf grassroot advocates in its passage through Congress, but still I am disappointed that the President Desert Storm stopped short of its path toward Bagdad, letting his son finish the job later. Our economy is still in the swamps, it's been that way since Andrew Jackson debt free administration.